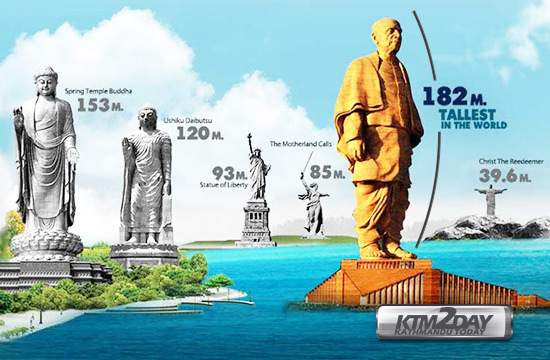 India is days away from officially unveiling what will be the world’s tallest statue, standing at an incredible 182 metres tall. 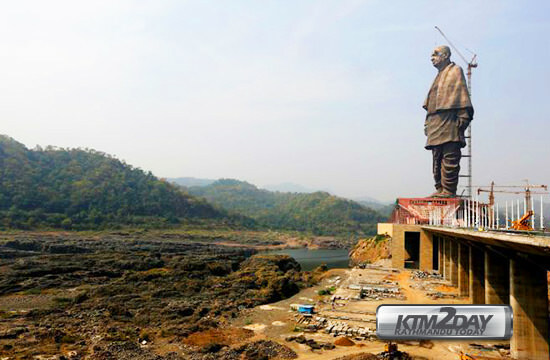 Dubbed The Statue of Unity, it is modelled after Sardar Vallabhbhai Patel, who was a key figure in the struggle for Indian independence from British colonial rule in the 1940s. Located alongside the Narmada River in Gujarat, on the western coast of India, it is nearly 30 metres taller than the current record holder — the Spring Temple Buddha in China — and almost double the height of the Statue of Liberty. The project, which cost a reported $580 million, was by announced in 2010 by Prime Minister Narendra Modi, who will be on hand to lead the official unveiling on October 31. 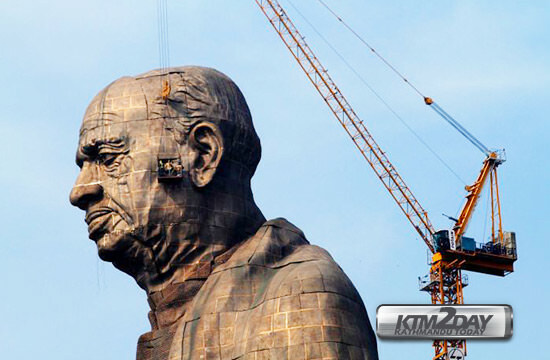 Mr Modi said in 2013 that the statue would be “a symbol of India rising”. “I want people from all over the world to see this statue just like they go see America’s Statue of Liberty or Paris’s Eiffel Tower,” he said. “This was a dream for many years. Many people added new colour to this dream, they gave suggestions and after a lot of churning, this has happened. Known as the “Iron Man” of India, Patel was India’s first home minister and first deputy prime minister and was a major figure in the unification of the country. Ironically, while he was alive Patel was said to be against the building of statues and memorials to glorify people.